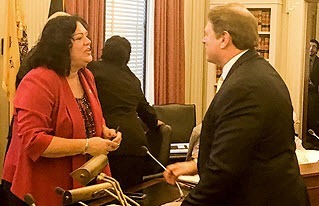 NJEA President Wendell Steinhauer discusses the proposed changes to the charter school regulations with Assemblywoman Caride, chair of the Assembly Education Committee, at a recent hearing on charter schools. At a special invitation from Assemblywoman Caride, NJEA President Wendell Steinhauer testified today in front of the Assembly Education Committee on the New Jersey Charter School Law. For perspective, it is important to understand the origins of the New Jersey Charter School Program Act. In the 1990s, educators across the country wanted to experiment with new teaching and learning methods to meet the needs of a diverse array of students. Charter schools were intended as locally run operations, created and operated by community members, parents, teachers, and others, who were invested in the success of public education and the community. This original vision assumed that these “laboratories of innovation” would inform instruction across the public education system. The lessons learned would enhance local school districts and the educational experience of all students. 3. Public charter schools are required, through statute and regulation, to adhere to the same standards of accountability and transparency as traditional public schools in all matters. 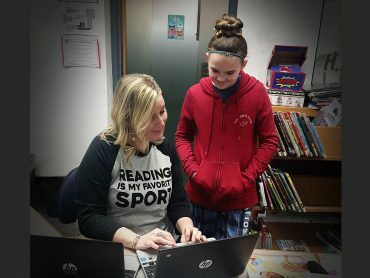 This moratorium on the approval of new charter schools would not eliminate public charter schools in New Jersey, nor even affect those already operating or approved. 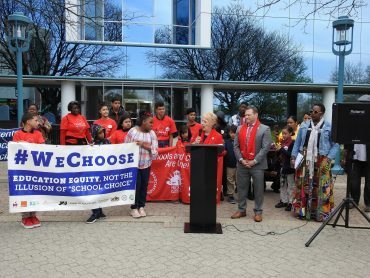 It would, however, give NJEA time, especially in light of the New Jersey Department of Education’s radical proposed changes to the charter school regulations, which would greatly weaken accountability, certification, and standards in a number of other areas. 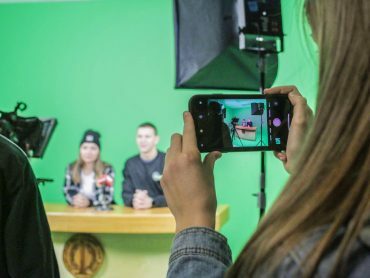 In the weeks and months ahead, as we continue to discuss the law, NJEA wants to keep the promise of the Charter School Program Act by staying true to its original mission. This moratorium would give all stakeholders the opportunity to refocus the mission and strengthen our commitment to equity, access and excellent educational outcomes for all students.